I've been so inspired with colors lately. Maybe it's because of spring and I'm so excited to finally see some color outdoors again! 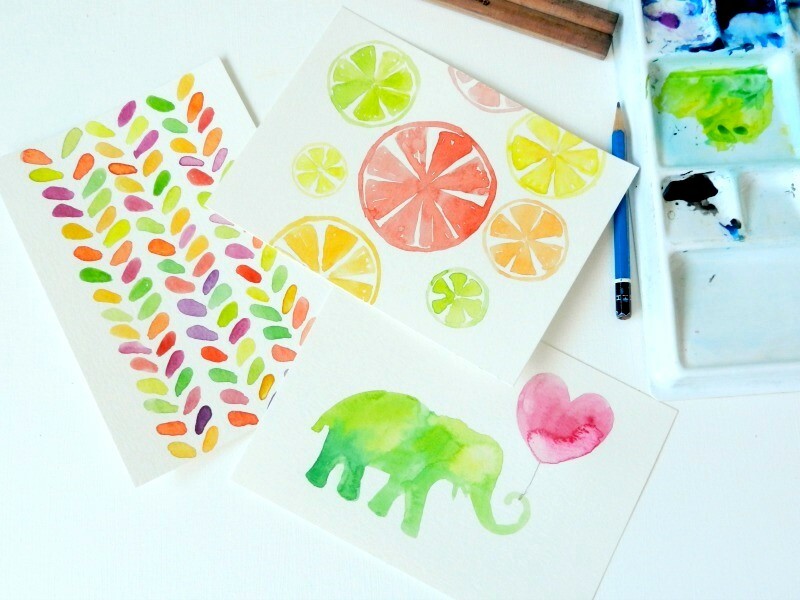 So here are some fun citrus-colored watercolors .... plus a little purple and pink. Pretty watercolors! And I LOVE the color of that frame...did you buy it that way or spray paint it? Those colors make me want summer! I went from spring in Portland back to winter in Montana. Very pretty! How lovely! All colours are so fresh and cheerful! I also love the frame you used!